A fully-funded PhD fellowship in artificial intelligence is available at Chalmers University of Technology. Successful candidate will have funding to work and study for five years in Sweden. The deadline to apply is July 15, 2019. At the department of Electrical Engineering research and education are performed in the areas of Communication and Antenna systems, Systems and Control, Computer vision, Signal processing and Biomedical engineering, and Electric Power Engineering. Our knowledge is of use everywhere where there is advanced technology with integrated electronics. We work with challenges for a sustainable future in society of today, for example in the growing demands concerning efficient systems for communications and electrification. Embodied Artificial Intelligence is a multidisciplinary area that requires the cooperation of different fields such as computer science, engineering, robotics and dynamical systems. This PhD thesis will develop a novel learning algorithm to allow high-level intelligence, such as problem-solving and reasoning to be applied to real-world physical systems, e.g. robots. Mainly, this work will be focused on investigating learning methods on the semantic aspects of intelligence to develop general purpose solutions for robotic applications. The goal of this PhD thesis is to develop compact and flexible model representations to allow robots the transference of their past experiences to current situations. These compact models should be human-readable to provide adequate feedback to the person interacting with the intelligent agent, e.g. a robot. This feedback should provide information to users, in an efficient form, about possible hazardous situations and potential errors, by predicting ahead-of-time the actions performed by either a human or a robot to infer their potential consequences. Thus, the communication between the users and the robots should be meaningful and bi-directional. The position is with the Mechatronics group at Chalmers, where a team of PhD students, post-docs and senior researchers is working on semantic-based methods and advanced decision-making algorithms in the area of Artificial Intelligence and Robotics. The group is a part of the Department of Electrical Engineering (E2), which to a large extent deals with the modeling and development of efficient systems for extracting and processing information. Your main responsibility as a PhD student is to pursue your own scientific studies and to develop your abilities and knowledge within the research fields covered by the project. You are expected to develop your own scientific concepts and communicate the results of your research verbally at scientific conferences and in written journal articles. The position also includes certain departmental duties, typically in form of teaching, corresponding to about 20% of working hours. Full-time temporary employment.The position is limited to a maximum of five years. By the starting date, the applicant should have a Master of Science degree or equivalent in Computer Science, Electrical Engineering, Applied Math or in a related discipline. A successful applicant should have a strong background in machine learning methods and robotics as well as be familiar with reasoning methods and tools. Programming skills in C++ are strongly required and knowledge in ROS (Robot Operating System), Python, Unity, and Prolog are welcome. A genuine interest and curiosity in the subject, excellent oral and written English communication skills are needed. To qualify as a PhD student, you must have a master’s level degree corresponding to at least 240 higher education credits in a relevant field. The position requires sound verbal and written communication skills in Swedish and English. If Swedish is not your native language, you should be able to teach in Swedish after two years. 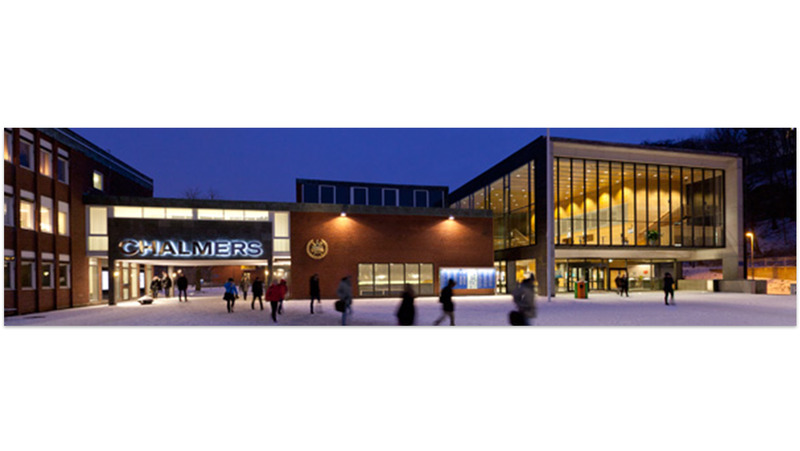 Chalmers offers Swedish courses. The application should be marked with Ref 20190206 and written in English. Future goals and research focus.Are there any specific projects and research issues you are primarily interested in? Copies of bachelor and/or master's thesis.